The “Blue Eye of Siberia”, the “Sacred Sea” – world’s deepest and oldest freshwater lake, holding one-fifth of the planet’s freshwater supplies, located in a remote area of Southern Siberia, north of Mongolian border. 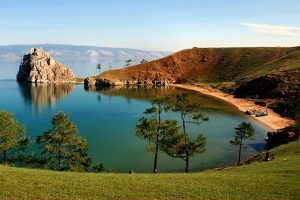 Lake Baikal was formed as an ancient rift valley, some 25 – 30 million years ago, and has typical long crescent shape with a surface area of 31,722 km2. Maximum depth of the lake is 1,642 m. It’s also been called the clearest lake on Earth, with transparency of 40m or more. 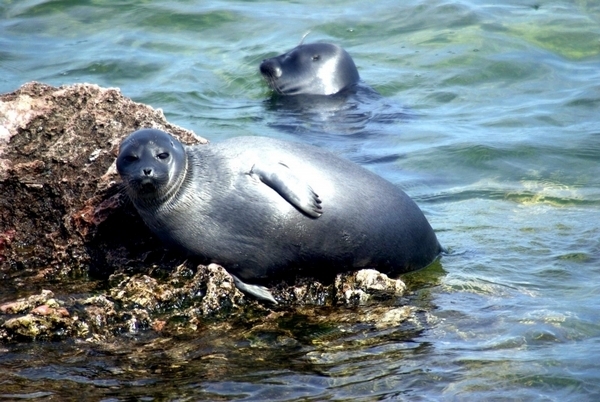 Baikal is home to thousands of species of plants and animals, many of which exist nowhere else in the world, one of them being the famous nerpa or Baikal seal. 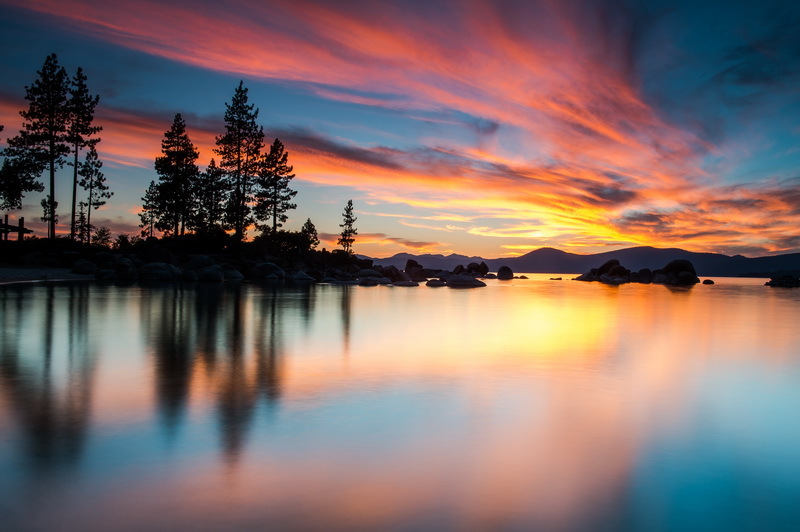 The lake was declared a UNESCO World Heritage Site in 1996. 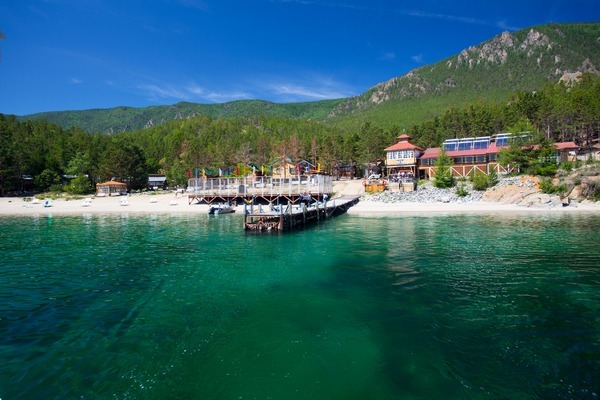 Quality Tours was the first to organize the cruises on Lake Baikal back in 2000,especially for Danish and Swedish tourist market on a comfortable cruise ship Alexander Vampilov, nowadays sailing under the name of Alexander the Great. We are now using even more comfortable ship, Imperia, built in 2007, with passenger capacity of 45 and the crew of 18. 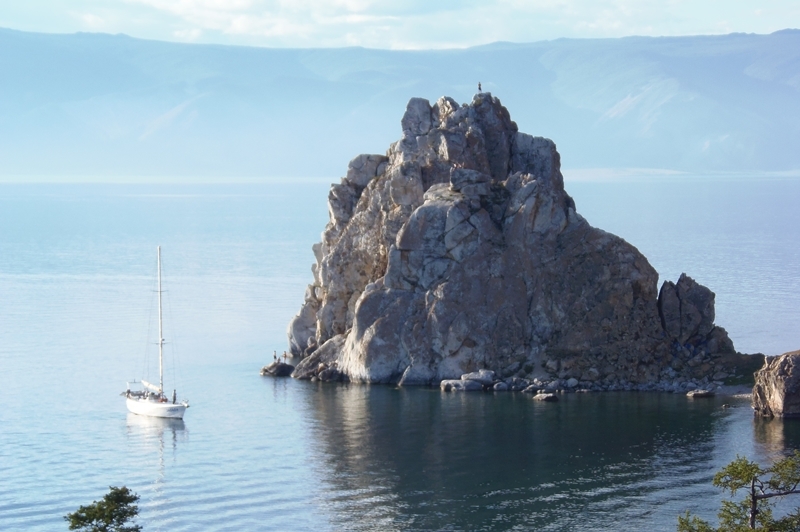 Baikal Lake cruises feel more like being on a private yacht than on a tourist cruiser. 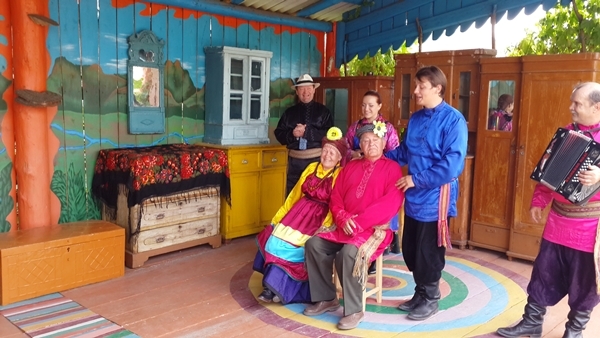 We have 6 and 8 days cruises, offering breath-taking views of the surrounding snow-capped mountains and rigid rocks, sandy beaches of “Siberian Riviera”, various natural phenomena, such as “walking” trees and hot springs, engineering monuments of Circum-Baikal railway and cultural and even spiritual experiences – the Shaman ceremony, the Buddhist stupas of the indigenous Buryat people. 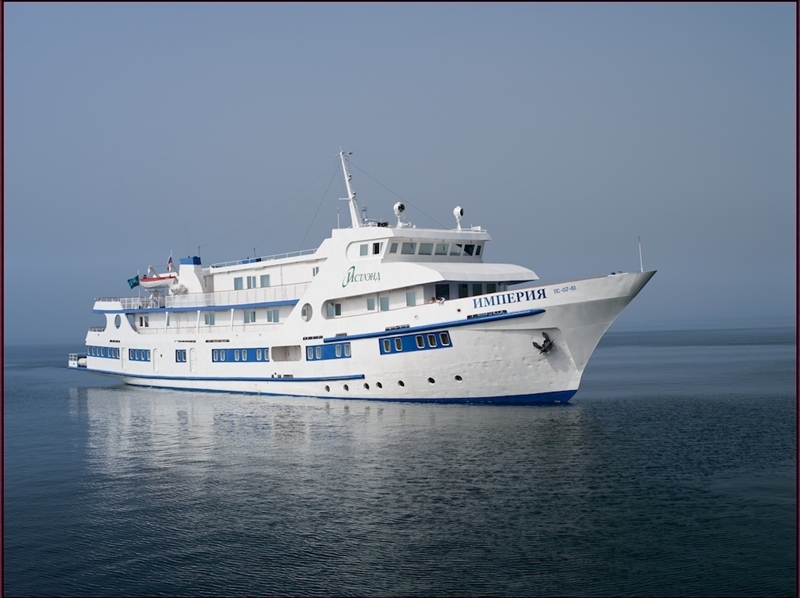 On board the ship you will have the opportunity to taste local food and fresh Baikal fish, like omul, an endemic white wish, or even catch one yourself! Museum of Decembrists in Irkutsk, located in a well preserved manor of the noble officer family, one of the many exiled to Irkutsk after failed uprising against the Tsar in December 1825. Open-air museum of wooden architecture Taltsy, from the 17th century, when Siberia became the part of Russia, and onward. 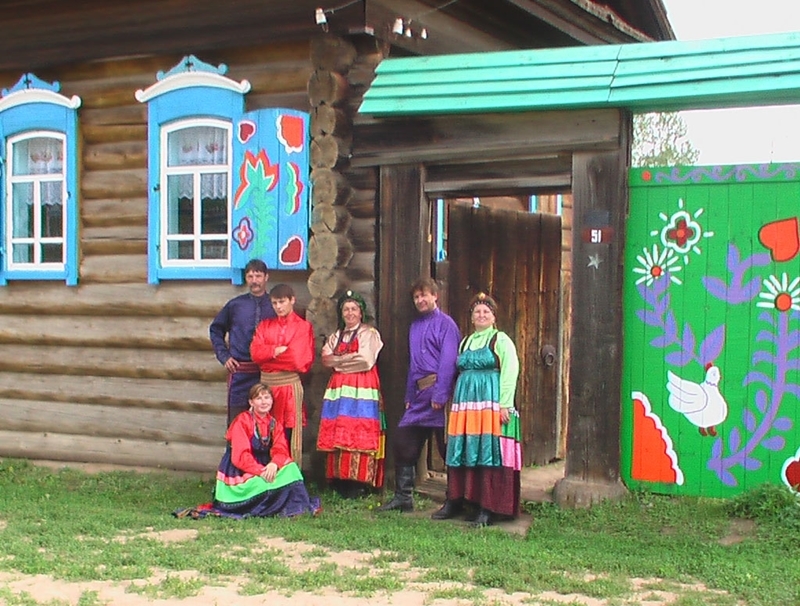 Acres of forested land are filled with wooden structures replicating the buildings of historical Siberian villages, including houses, farmsteads, churches, and a school building. Ivolginski Datsan outside the Ulan-Ude, the most important Buddhist monastery in Russia and a residence of Pandido Khambo Lama, the leader of all Russian Lamas. Tarbagatay village in Buryatia, the village of the so called Old Believers, a Russian Orthodox minority. Residents of the village are descendants of the Russians expelled from central Russia to Siberia by Catherine the Great in the 18th century because of an internal conflict in the Russian Church. Villagers preserve the original architecture of the houses and their old ways of living and observing the rituals, and are always happy to receive the guests and treat them to their food and folk songs and music. 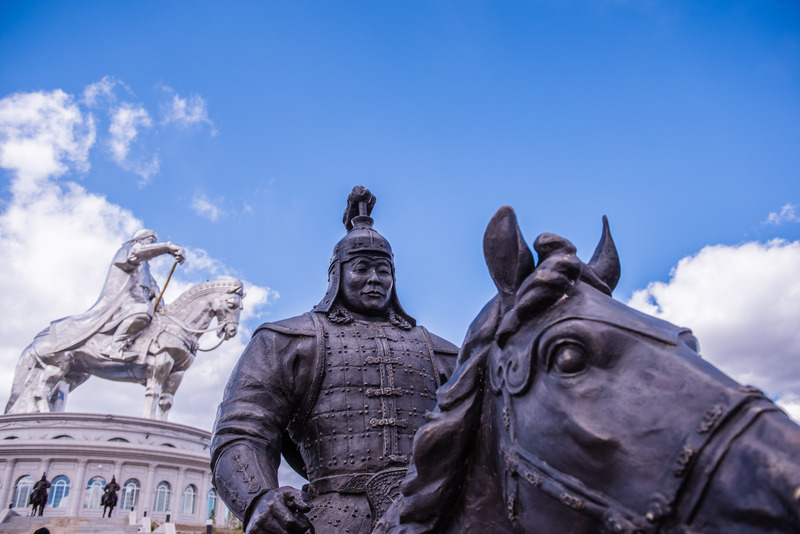 Genghis Khan Statue, an enormous, 40- metres tall statue of the legendary Mongolian warrior and ruler. 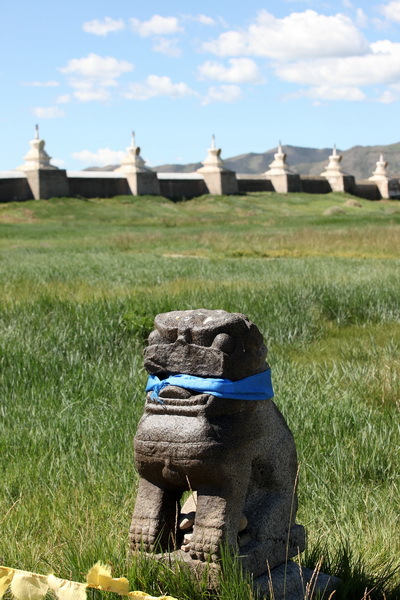 Terelj National Park, with a famous Turtle Rock, Meditation Temple and much more. 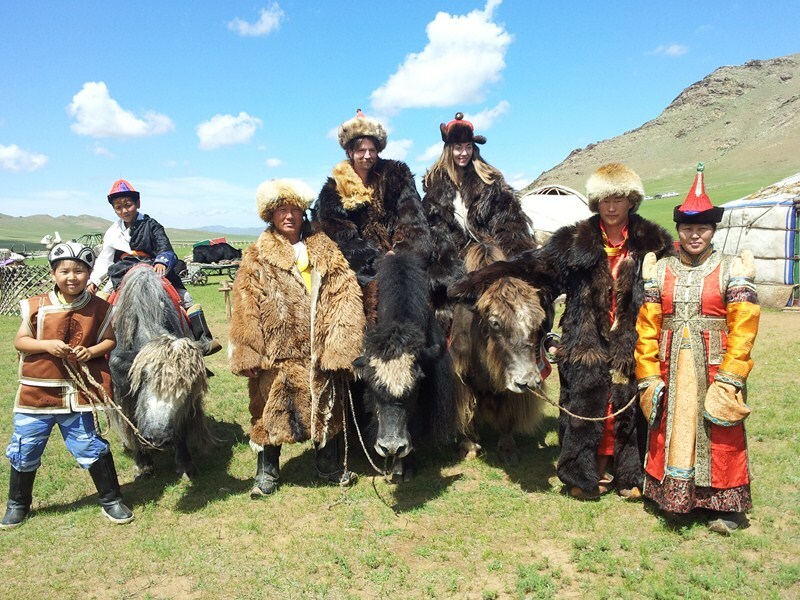 Mongol Nomadic Camp, demonstrating the traditional nomadic way of life. The two-week program Mongolia – Buryatia – Lake Baikal Cruise – Irkutsk presented on this page is tailor-made by Quality Tours for one of our clients. Many other combinations and lengths of program are available on request. B, L, D Arrival in Ulaanbaatar. Transfer to the hotel. 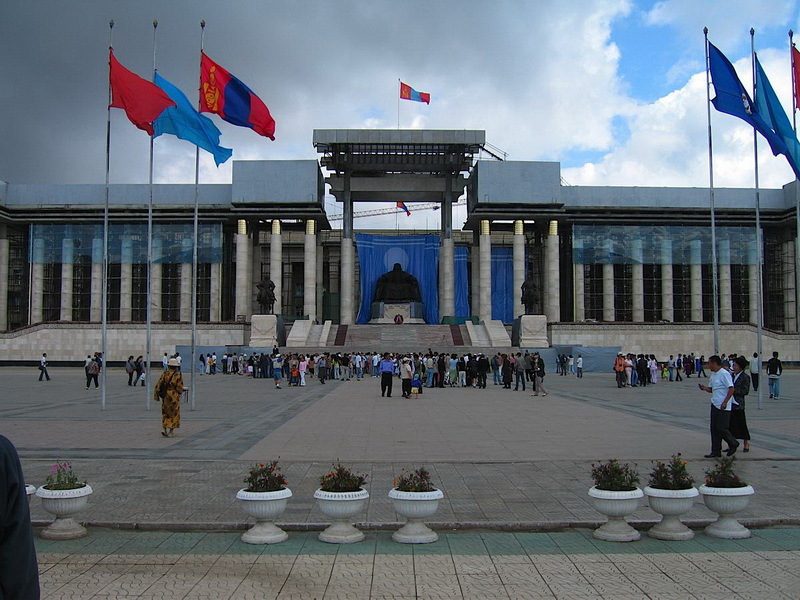 Ulaanbaatar, also known as Ulan Bator is the capital of Mongolia. Historically known as Urga, the city was originally established in 1639 as a nomadic encampment, which shifted from place to place until it settled in its present location in 1778. The city is situated at an altitude of 1,351 meters above sea level. It has population around 1,318,100 and a surface area of 4,704.4 km2. 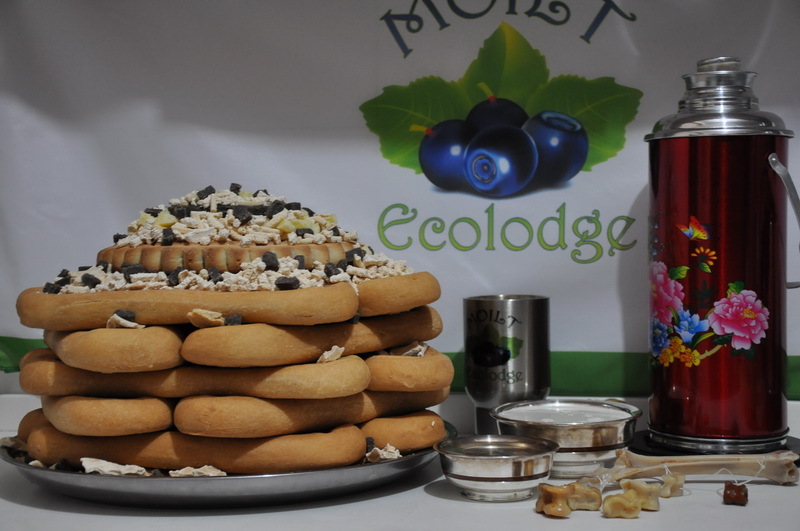 It is the largest city in Mongolia, standing as its political, commercial, industrial and cultural hub, where the past and the present are still living side by side. 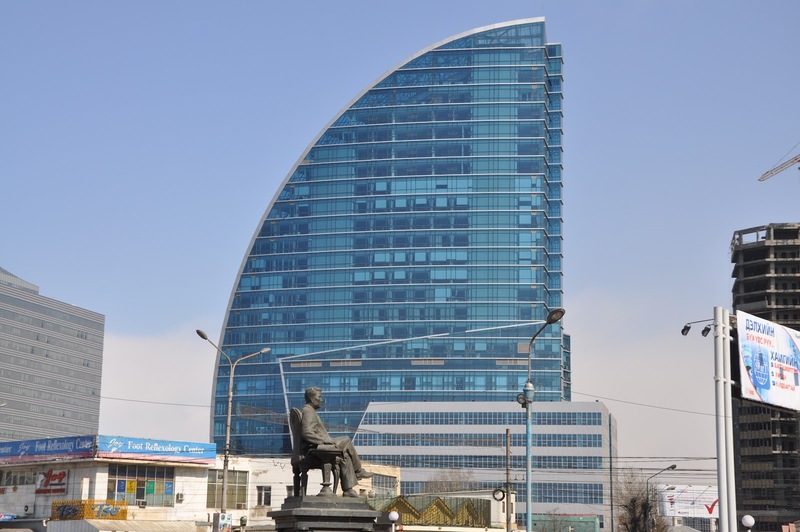 Much of the modern architecture of Ulaanbaatar started to shape in the 20th century with the influence from Russian architecture. 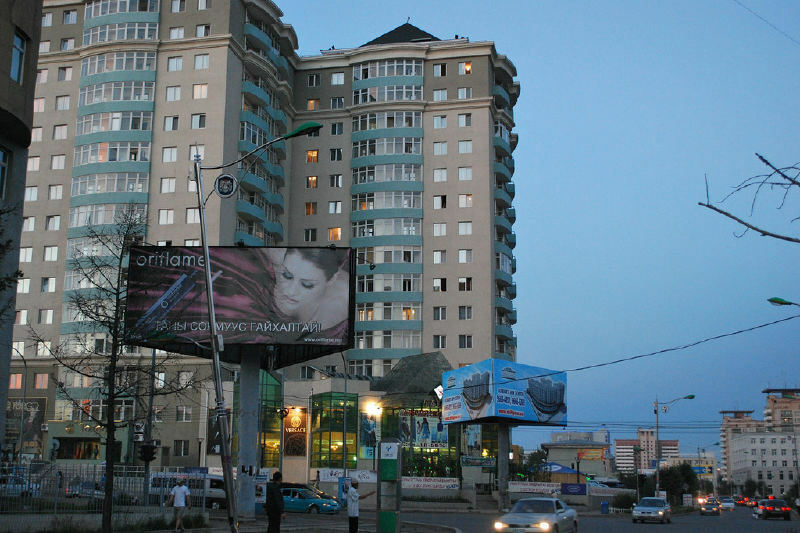 The modern day UB showcases a mix of Soviet architecture, ger settlements, Buddhist monasteries and 21st century high rises. 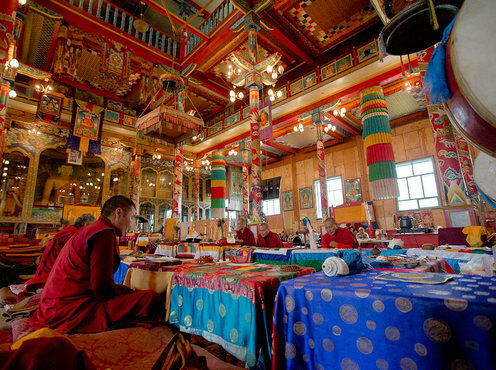 Gandan Monastery is a Tibetan-style Buddhist monastery that has been restored and revitalized since 1990. 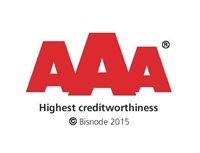 The Tibetan name translates to the "Great Place of Complete Joy". It currently has over 150 monks in residence and features a 26.5-meter-high statue of Avalokiteśvara (the most popular and beloved Mahayana bodhisattva). Russian troops dismantled the original statue in 1938. 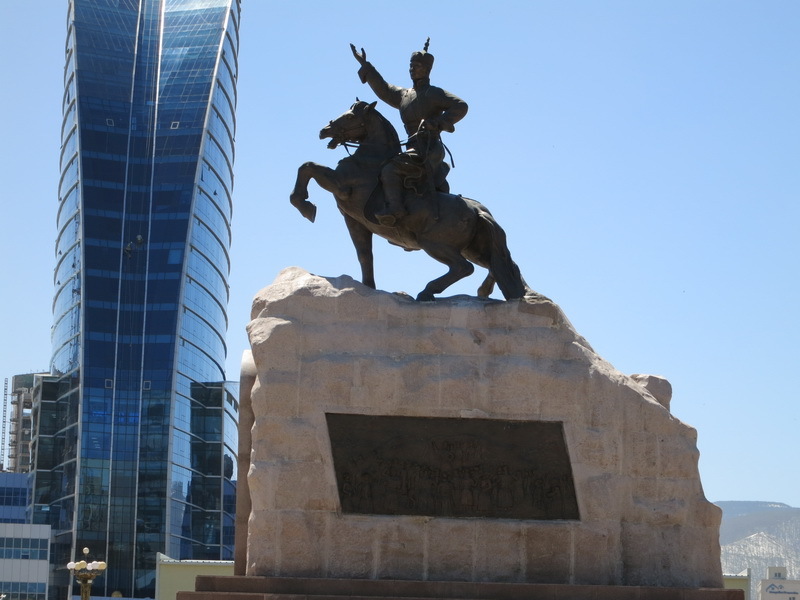 After the end of the Soviet era, the statue was rebuilt in 1996, funded by donations by the Mongolian people. It features 2,286 precious stones and is gilded with gold leaf. National History Museum sweeps visitors from the Neolithic era right to the present day. 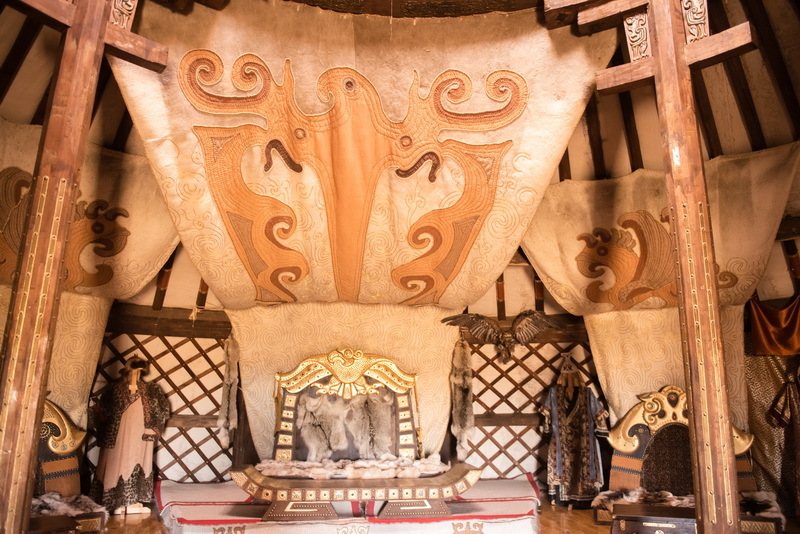 From the ancient burial sights, through the outstanding collection of costumes, hats and jewellery, representing most of Mongolia’s ethnic groups, and the exhibits from Golden Horde times, to the modern history and 1990 democratic revolution. 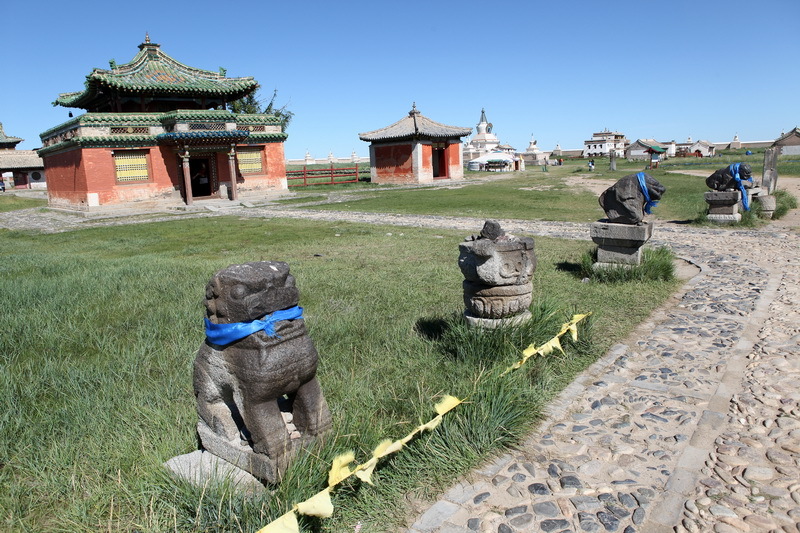 Genghis Khan Statue Complex is located 54 km east of Ulaanbaatar, on the bank of the Tuul River where, according to legend, Gehnghis Khan found a golden whip. 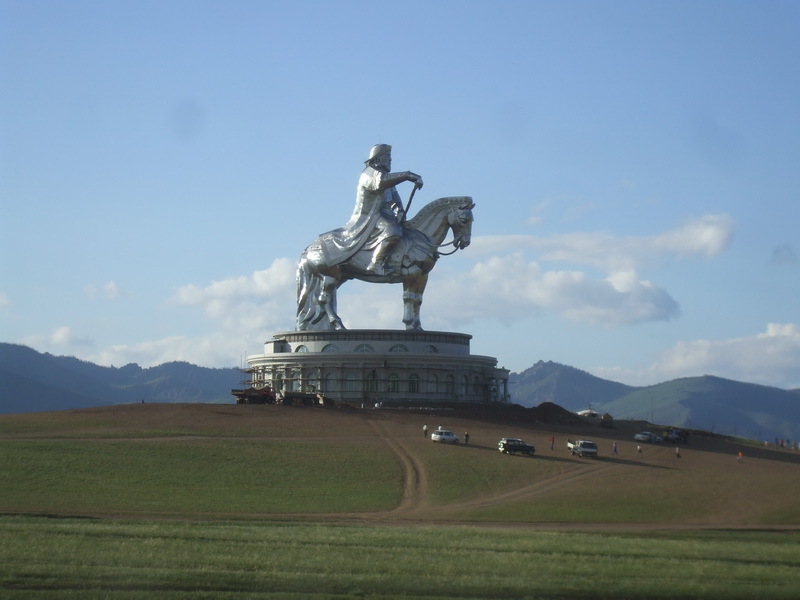 The main attraction is an enormous, 40-metres tall, stainless steel statue of Genghis Khan on a horseback, erected in 2008. One can climb the stairs or use the elevator to get to the top of the statue for the stunning views. There’s also a small museum and a visitor’s centre at the complex. After lunch, continue to the Ghorki Terelj National Park (ca. 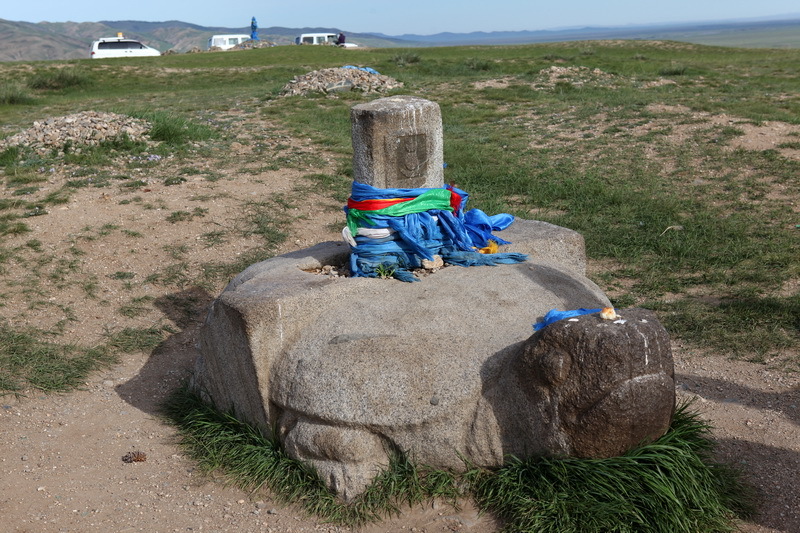 60 km), one of the most visited in Mongolia. 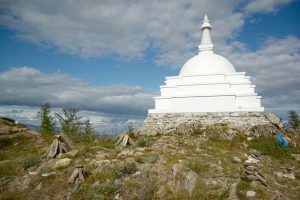 Take a photo of the famous rock formation the Turtle Rock, visit the Meditation Temple and enjoy the views of the valley. Possibility for horse riding. 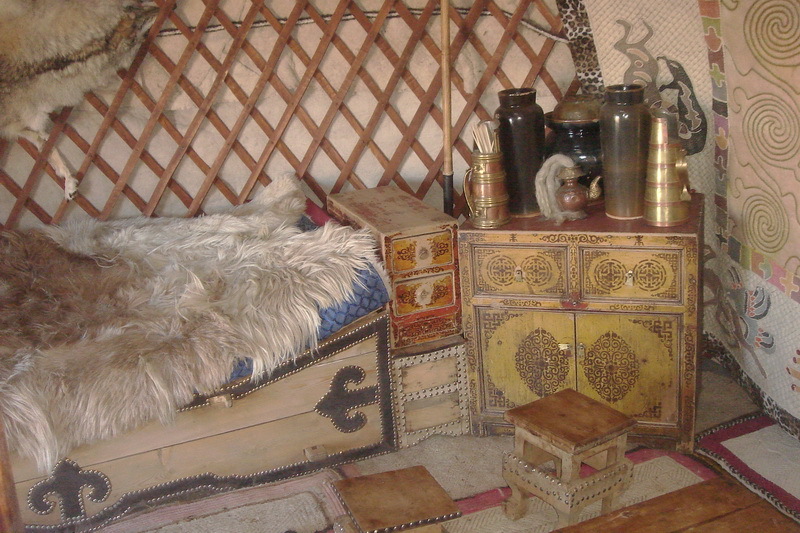 Mongol Nomadic Camp is situated ca. 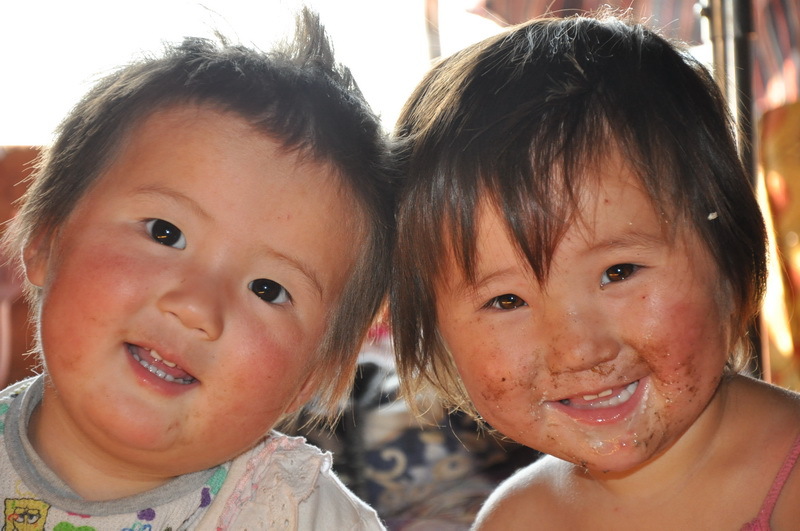 55 km west of Ulaanbaatar, and it demonstrates the traditional nomadic way of living. The nomad family resides there with no electricity, vehicles, TV or mobile phones. 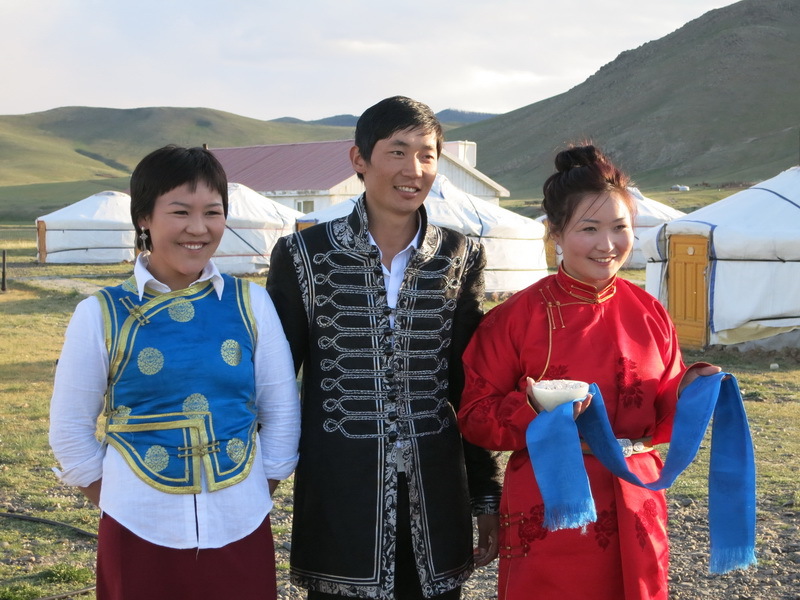 The daily show includes demonstration of everyday life of traditional Mongolian herders: making dairy products, felt and tanning, moving the pack animals and family by ox-carts and camel freight, milking yaks, sheep, goats and mares, horse show… Visitors are also invited into traditional nomadic tent “ger” (yurta) and offered traditional lunch in the Ger Restaurant. In the afternoon return to Ulaanbaatar. Time for shopping – don’t miss famous Mongolian cashmere at the factory’s outlet. In the evening enjoy Mongolian traditional folklore concert. B, L, D Transfer to the train station for the 15-hours overnight train ride to Ulan-Ude. - Sightseeing of Ulan-Ude by bus, lunch in the city. - Excursion to Ivolginski Datsan with dinner. Ulan-Ude is the capital of the Republic of Buryatia, the third largest city in Eastern Siberia with the population of about 400.000. It lies 5,640 km east of Moscow, 600 meters above the sea level at the foot of the Khamar-Daban and Ulan-Burgasy mountain ranges, at the confluence of the Selenga River and its tributary, the Uda, which divides the city. The city is the centre of Tibetan Buddhism in Russia. Until 1991, Ulan-Ude was closed for foreigners. There are old merchants' mansions richly decorated with wood and stone carving in the historical centre. One of the most peculiar attractions of the city is the huge statue of Lenin’s head. Built in 1970 for the centennial of Lenin's birth, it towers over the main square at 7.7 meters and weighs 42 tons. Ivolginski Datsan is the most important Buddhist monastery in Russia. 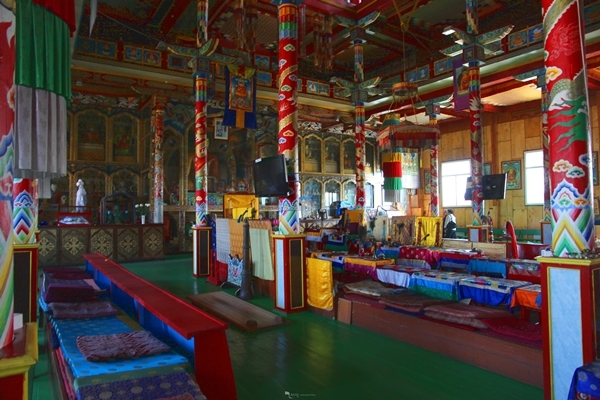 It is also home to a phenomenon that continues to intrigue scientists and attract believers by the thousands — the preserved body of the Khambo Lama, who died in 1927 and is still sitting upright in the lotus position. Note: the body is exhibited only seven days a year, on Buddhist holidays. 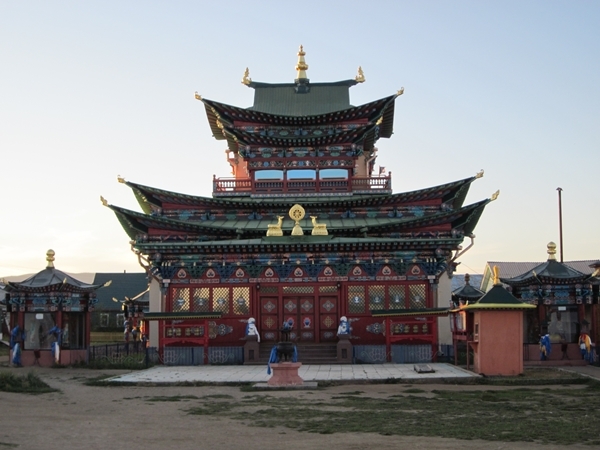 The datsan was opened in 1945 as the only Buddhist spiritual centre of the USSR. In the course of time the little "Khambin's sume" changed into the Monastic centre with a residence of Pandido Khambo Lama, the leader of all Russian Lamas. B, L, D Excursion to the Tarbagatay village, the village of the so called Old Believers, with traditional lunch with the local family. The Old Believers became separated after 1666-1667 from the hierarchy of the Orthodox Church of Russia as a protest against church reforms introduced by Patriarch Nikon of Moscow. Old Believers continue liturgical practices which the Russian Orthodox Church maintained before the implementation of these reforms. Because of the use of these older liturgical practices, they are also known as Old Ritualists. Russian-speakers refer to the schism itself as raskol (etymologically indicating a "cleaving-apart"). In 1971 the Moscow Patriarchate revoked the anathemas imposed on the Old Believers in the 17th century. Modern-day Old Believers live all over the world, having fled Russia under tsarist persecution and after the Russian Revolution of 1917. 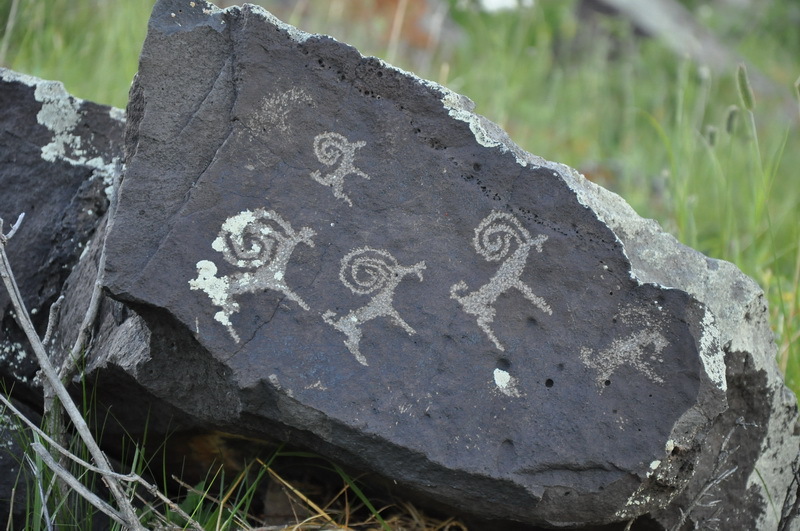 Perhaps the highest concentration of older established Old Believer communities, with foundations dating back hundreds of years, can be found concentrated in Eastern Siberia, specifically the Transbaikal region in desolate areas of Buryatia and Zabaykalsky Krai. Arrival in Irkutsk, transfer to the hotel. 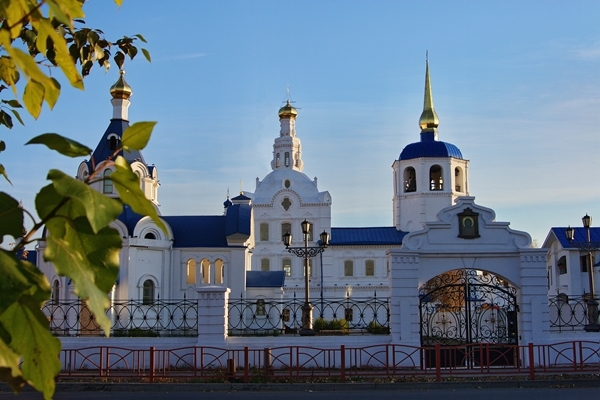 In the afternoon City Tour: the Lower Embankment, the Square of Three Churches, Znamensky (the Holly Sign) Monastery, historical part of the city and the so called 130-quarter, created for the celebration of Irkutsk 350 anniversary, featuring the old wooden buildings. 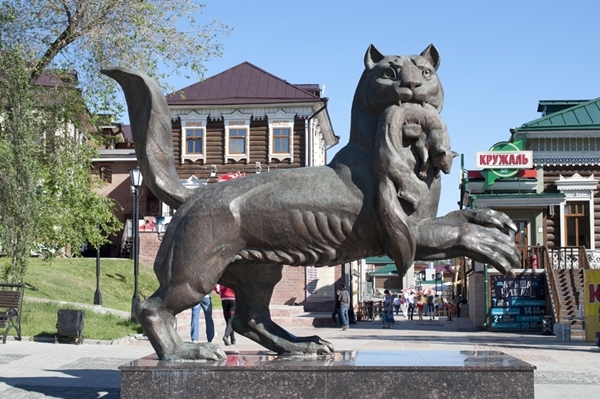 Irkutsk is the administrative centre of the Irkutsk Oblast (region), de-facto capital of the Eastern Siberia, with the population of about 600.000. In December 1825, a secret society of young officers staged an uprising in Saint Petersburg. The uprising, ill-conceived and badly led, was a disaster. Over 120 of the conspirators were exiled. They became known as the “Dekabristi”, the Decembrists. The museum, located in the original Manor of the Volkonsky family, with its accurately recreated historical interiors tells about the life of the Decembrist in Siberia (1845 - 1856) and contains many family belongings. B, L, D Transfer to Listvyanka village. Embarkation. 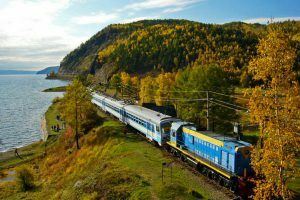 Set sail to Cape Poloviniy to see the Circum-Baikal Railway. Circumbaikal railway is an old part of the Transsiberian railroad, now used only by tourist trains. Within the section of 84 km from Kultuk to Port Baikal there are 424 engineering constructions and 39 tunnels. There are about 200 bridges and 14 km of walls that support the railway. All these constructions were built more than 100 years ago. At the end of the 70's the railway was recognized as the historic and architectural monument and now it is under government protection. In the evening arrival at Kadilnaya Valley – the protected nature area. Walking to the beautiful edelweiss glades. 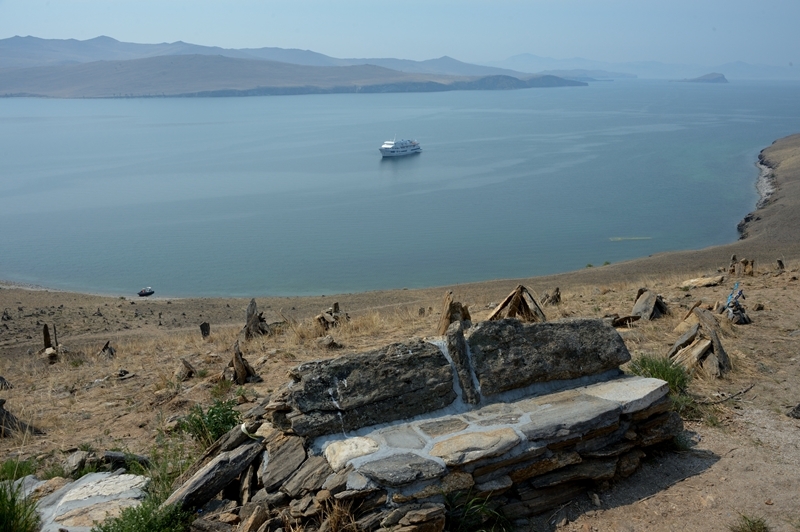 Ogoy Island is one of the “power places” of Bajkal. At the top of the island the Buddhist stupa, Stupa of Enlightenment, was built in 2005. It contains the relics of the Buddhist saints and sacred texts. It is believed that going 8 times around stupa barefoot will clean one of the anxiety and stress. At Khuzhir meet the Shaman and observe the ceremony at the famous Shaman Rock. Optional visit to the seal rookery. 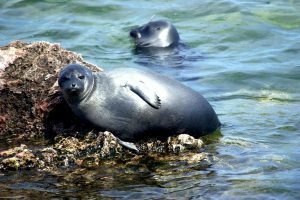 The Baikal seal (nerpa) lives only in the waters of Lake Baikal and it is a mystery how it came to live there in the first place, hundreds of kilometres from the nearest ocean. 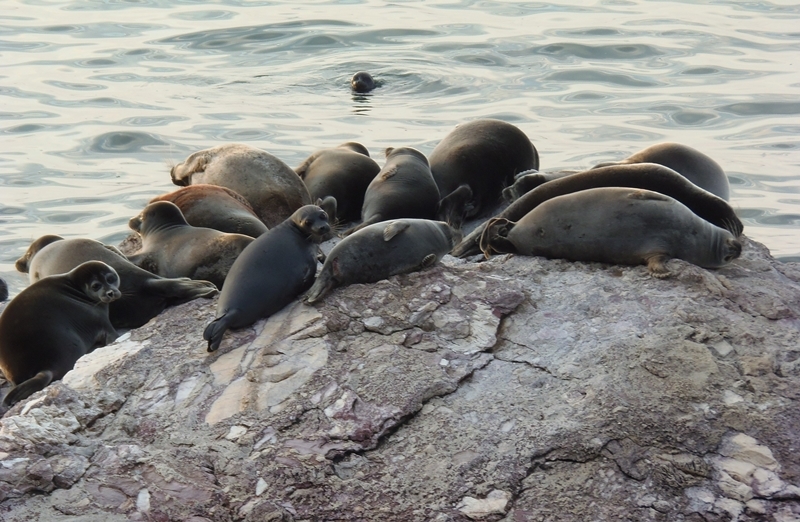 The whole area is a nature reserve and park rangers usually give permission for landing and taking photos of the seals from the protected place. 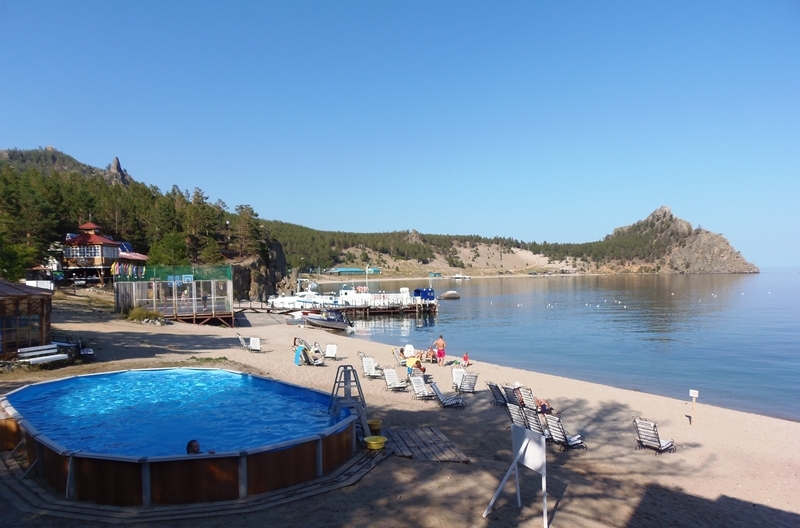 The Snake Bay is famous for its hot springs, with the temperature between +32 and +45°С. Bathing in the springs. Back at the Olkhon Island, take the tour by the small caravan of UAZ - Russian off-road vehicles. Climb the towering cliffs of the island's northern tip and make a break for a delicious picnic in the open air with a fish soup cooked over an open fire. Beautiful sandy beaches called the Siberian Riviera, surrounded by the picturesque rocks, Grand Belfry and Little Belfry. Take a walk along the beaches to the north, where wind and water have created a strange forest of "walking trees", living pine trees with partly exposed root system in the sand. They look like they're about to walk into the lake. 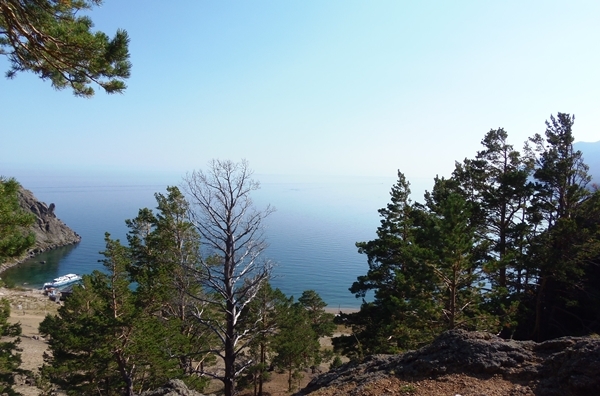 Enjoy Russian sauna with Baikal herbal tea, followed by the dip in cold Baikal water, if you dare. Disembarkation, end of cruise. 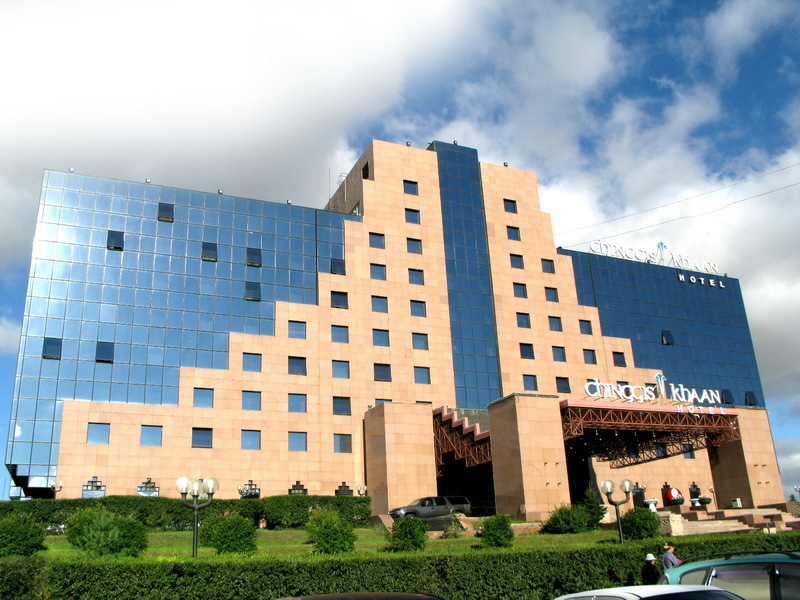 Transfer to Irkutsk, overnight in the hotel. Free time in Listvyanka, visit the fish and souvenir market. 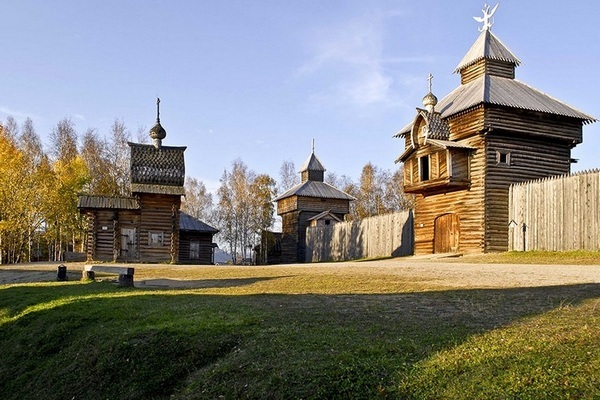 On the way to Irkutsk stop at Open-air museum of wooden architecture Taltsy. 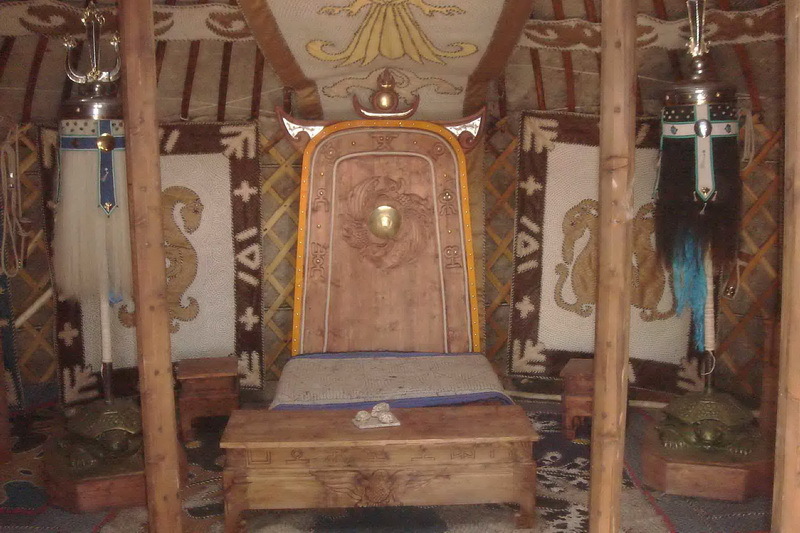 Open-air museum of Siberian history from the seventeenth to twentieth centuries. Acres of forested land are filled with wooden structures replicating the buildings of historical Siberian villages, including houses, farmsteads, churches, and a school building. B Transfer to the airport for the homebound flight.